Count on us, Mr Lee | Thoughts – HEY! It was a privilege to be invited to witness the special parliamentary session on Thursday to pay tribute to Mr Lee Kuan Yew. Some of the speeches by the ministers and Members of Parliament really moved me to tears. As I listened to their reflections, I felt thankful that I wasn’t born into their generation at a time filled with immense changes, developments and even turmoil. After the session, I stepped out into the Padang and took a good hard look at the city. This was what the late Mr Lee and his team built with blood and perspiration. It reminded me not to take our nation for granted. Others take hundreds of years to build a developed and First World country, but Singapore took only 50. She is indeed nothing short of a miracle. And yes, much of the credit goes to Mr Lee. 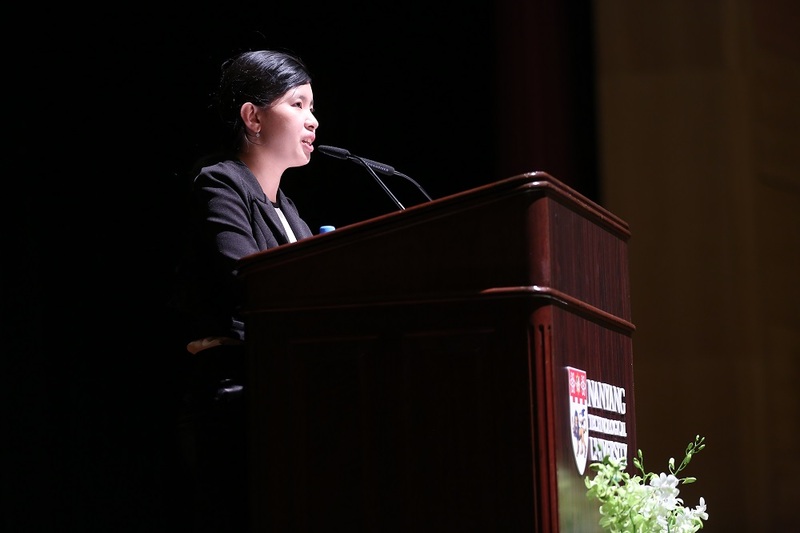 It is with deep sorrow and sadness that I am speaking this afternoon. Last Sunday evening, I felt led to make a trip to the Singapore General Hospital. I visited the Quad of SGH, a designated corner kindly set up by the hospital for members of the public to leave their well wishes for the now late Mr Lee Kuan Yew. In spite of the cold and rainy weather that evening, there were many from the crowd laying flowers and cards of well wishes. The peoples’ hope for Mr Lee to recover and join us in the coming Jubilee National Day celebrations warmed my heart. There and then, I wished that I could have met Mr Lee in the ward to convey my concern and well wishes to him in person. I knew it was impossible to do so; hence I whispered a simple prayer, hoping that he could hear it. Dear Mr Lee Kuan Yew, thank you so much for devoting your entire life to building Singapore. You have fought a long and good fight for this nation. It is now time for us, the next generation of Singaporeans, to carry on your legacy and take Singapore to the greater heights that you envisioned. I left the hospital soon after and awoke the next morning to the news that our founding father had passed on. News of his passing spread far and wide as social media was flooded with condolences and tributes, gratitude and thoughts for this great man. As I read through some of these posts, I recalled and reflected on the numerous contributions that Mr Lee made to Singapore, as well as the great difference he has made to each and every Singaporean. Singapore started her journey as an independent nation 50 years ago under his leadership. Then, we were just a little red dot in the eyes of the world. But today we are much more than that. In a mere five decades, Singapore grew quickly into one of the world’s major commercial hubs and became one of the busiest ports across the globe. Not only is she a world leader in several economic areas, she is also known to have a highly developed healthcare system. It was Mr Lee who put us on the world map and this is the reason why so many of my overseas friends now know of Singapore and would very much like to be here. Because of him, I am proud to call Singapore my home. If it were not for Mr Lee’s resilience in fighting for Singapore’s independence, you and I would not be enjoying the freedom we have today. If it were not for his dream to build Singapore into a first-world country, we would not have a roof over our heads and fresh water to drink straight from the tap. If it were not for his vision to see Singapore as a hub for education, we probably would not have NTU and her renowned education system. If it were not for his policies to promote racial and religious co-existence in Singapore, you and I would not be living in such a stable and harmonious multiracial and multi-religious society. If it were not for Mr Lee’s conscious effort in transforming Singapore into a Garden City, we would not be surrounded by such beautiful flora and fauna everywhere we go. 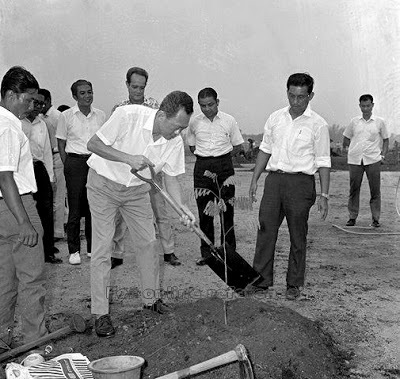 When I read about Mr Lee’s unbroken record of faithfully planting a tree in Singapore every single year, I was reminded of a Chinese proverb that goes: “前人种树，后人乘凉”. This means that the tree planters, our pioneer generation, have slogged hard so that we, the next generation, are able to enjoy the fruits of their labour. Mr Lee’s tenacity and foresight was that hard work, and Singapore is the fruit that we are enjoying today. I deeply respect and admire this great leader because throughout his lifelong work, he did not neglect his family. Mr Lee was known to be a role model to his three children, as well as a devoted and loving husband to his late wife, Mdm Kwa Geok Choo. Mr Lee started the long race at Singapore’s independence 50 years ago and he has finished it just as strong as he started. He has left a legacy for us and for generations to come. He has left a prosperous and strong nation of Singapore to us. Now that the baton has been passed to us, may our generation see beyond ourselves and rise to overcome the challenges of the future. We will build on the foundations that Mr Lee and our forefathers have laid for us so that we can continue to shine and make Singapore even more successful. I end with an account from when I was young. Once, in my primary school days, my English teacher asked the class to write an essay on who we wanted to be like. I did not know too many people then so I wrote about dreaming to be like Mr Lee Kuan Yew. Beyond the textbook knowledge of him as Singapore’s founding father, I knew him as a change-maker and someone of character. Looking back, I realised that he was a great inspiration for me to do what is right and not just what is popular; to strive for success and to never give up. With that, I would like to represent this generation to say, thank you Mr Lee Kuan Yew. You will always be remembered for your lasting contributions and lifelong dedication to Singapore. I end off with a quote: “Fifty years ago, Mr Lee, you wept for Singapore. Fifty years later, Singapore weeps for you. 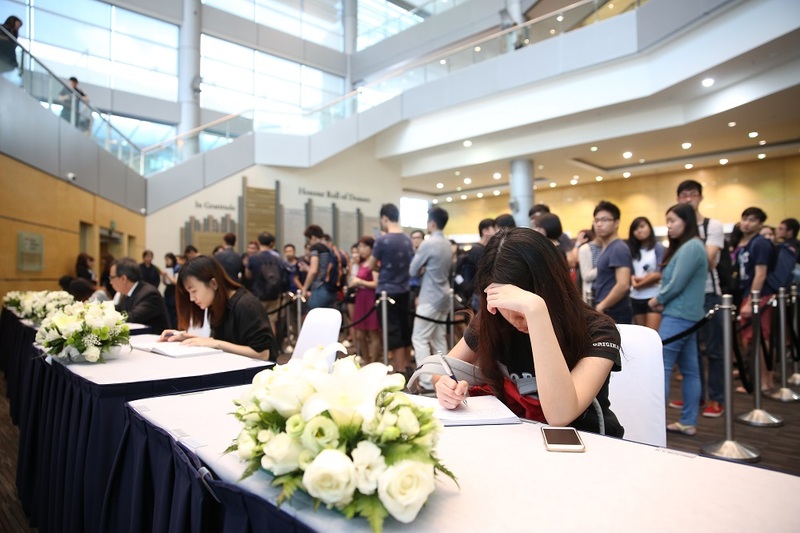 The NTU community leaving their tributes to Singapore’s founding father, Mr Lee Kuan Yew. This entry was posted in Education, Learning, Tribute. Bookmark the permalink.